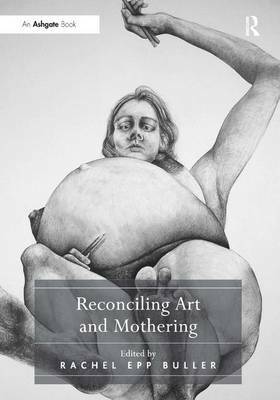 Reconciling Art and Mothering contributes a chorus of new voices to the burgeoning body of scholarship on art and the maternal and, for the first time, focuses exclusively on maternal representations and experiences within visual art throughout the world. This innovative essay collection joins the voices of practicing artists with those of art historians, acknowledging the fluidity of those categories. The twenty-five essays of Reconciling Art and Mothering are grouped into two sections, the first written by art historians and the second by artists. Art historians reflect on the work of artists addressing motherhood-including Marguerite Gerard, Chana Orloff, and Renee Cox-from the early nineteenth century to the present day. Contributions by contemporary artist-mothers, such as Gail Rebhan, Denise Ferris, and Myrel Chernick, point to the influence of past generations of artist-mothers, to the inspiration found in the work of maternally minded literary and cultural theorists, and to attempts to broaden definitions of maternity. Working against a hegemonic construction of motherhood, the contributors discuss complex and diverse feminist mothering experiences, from maternal ambivalence to queer mothering to quests for self-fulfillment. The essays address mothering experiences around the globe, with contributors hailing from North and South America, Europe, Asia, Africa, and Australia. Buy Reconciling Art and Mothering by Rachel Epp Buller from Australia's Online Independent Bookstore, Boomerang Books. Dr Rachel Epp Buller is Assistant Professor of Art at Bethel College, an independent curator and artist, and a regional coordinator of The Feminist Art Project.